The biggest news this month is that I am changing my font licensing model. “Donationware” (coupled with Adsense income) has been working well enough for me, but I want to experiment with some other options to see if I can get that font income up higher. So, I am beginning to shift my font license purchases to a relatively new site – “Creative Fabrica“. Their system revolves around offering % cuts of monthly subscriptions, individual font “seats” (coming in at $10 a seat in my case), and affiliate sales cuts. I am trialling 20 of my most popular fonts to see how it all pans out. I am very interested to see how much of an impact this has on my font income. 1. 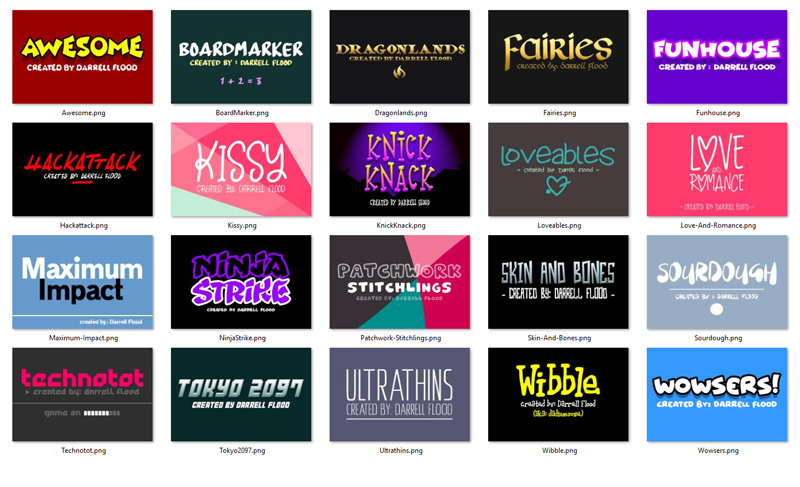 I now have over 150 fonts available. 2. I have managed to crack the Top 10 Font Authors. 3. I regularly had over 20,000 downloads a day throughout August. 4. I now have over 4 million total font downloads. I’ve noticed that being in the top 10 on Dafont makes a big difference to my Adsense numbers, so I will be doing what I can to maintain that position.